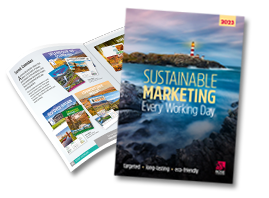 In order to maximise the potential your calendar has in advertising to your customers, you can choose to enhance an existing calendar design, by adding extra pages from over 50 different titles. This gives you the scope to promote your own specialities and give maximum impact to your message. Or why not take advantage of the option we offer to have the date pad colour matched to your brand colours, or consider a personalised cover design featuring your logo to complement your branding on each leaf? Our range of desk calendars can also be enhanced by upgrading to our Note Station, Task Station, or Premium Lined Easel formats.